The AgaMatrix Lancing Device is a universal lancing device, used to draw a sample of blood for use with a blood glucose monitor. The device is adjustable, and can be changed to select the lancet depth of penetration to minimize discomfort. Includes 600 AgaMatrix Ultra-Thin lancets. The AgaMatrix Universal Lancing Device is used to draw a sample of blood for use with a blood glucose monitor. The device is adjustable and can be changed to select the lancet depth of penetration to minimize discomfort. 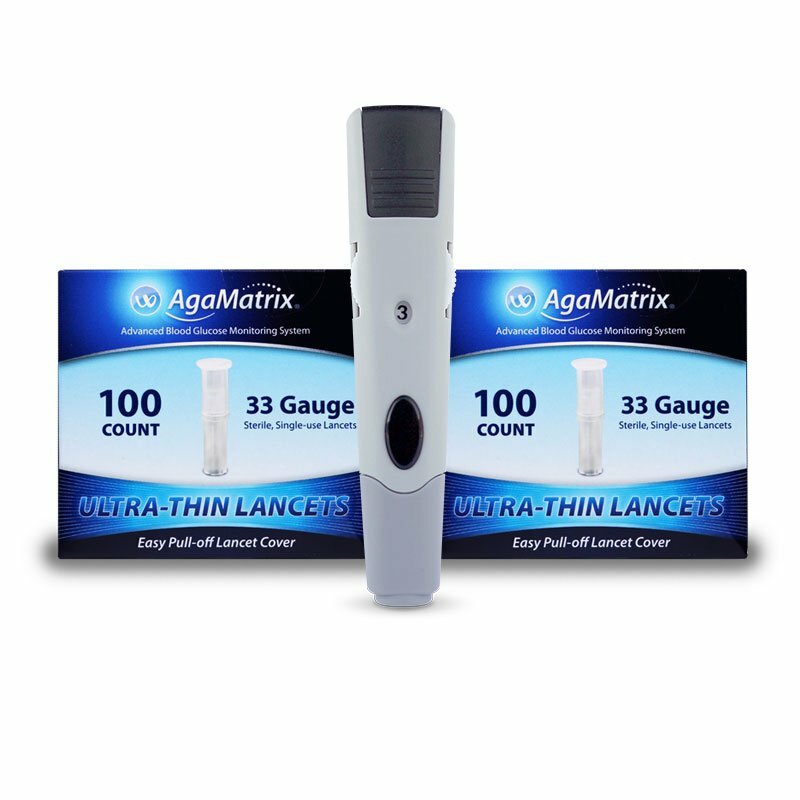 Includes 600 AgaMatrix Ultra-Thin 33 Gauge lancets. This device can be used with any standard round-barrel lancets. Clean the lancing device as needed using mild soap and warm water. Dry the lancing device thoroughly. Isopropyl Alcohol (70%) can be used to disinfect the device.